Here is my final attempt before my shoot tonight, it’s still a little uneven in places but I think I’m improving. Personally I prefer the other angle better. As of the past couple of days I’ve been assigning myself to some personal photography projects. A year or two ago I worked with strobes for a couple of shoots, I never really enjoyed it so I stuck with what I love best, natural light. 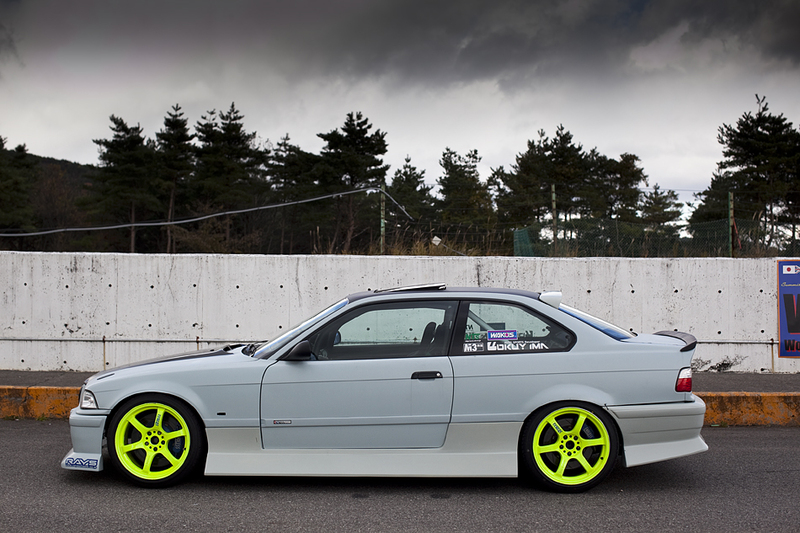 Back on subject I’ve been speaking with some people and browsing the web of lighting cars properly, nothing half-assed. After reading for a couple of hours yesterday I managed to find a fluro light in my house and tested it out on mums VW Golf in the garage, not doing too badly I was immediately addicted. Today I woke up and headed to the lighting store and picked up a 4ft fluorescent light which plugs straight into a power outlet. As soon as I got home I headed straight back to the garage to do both exterior and interior photos. The main reason I’m doing this is for a shoot I’m doing tonight which will be my first night feature. My camera was setup outside the car on a tripod. 20sec, f/11, ISO50 on a 10 second timer to allow me to jump in the car and locate myself to light inside. 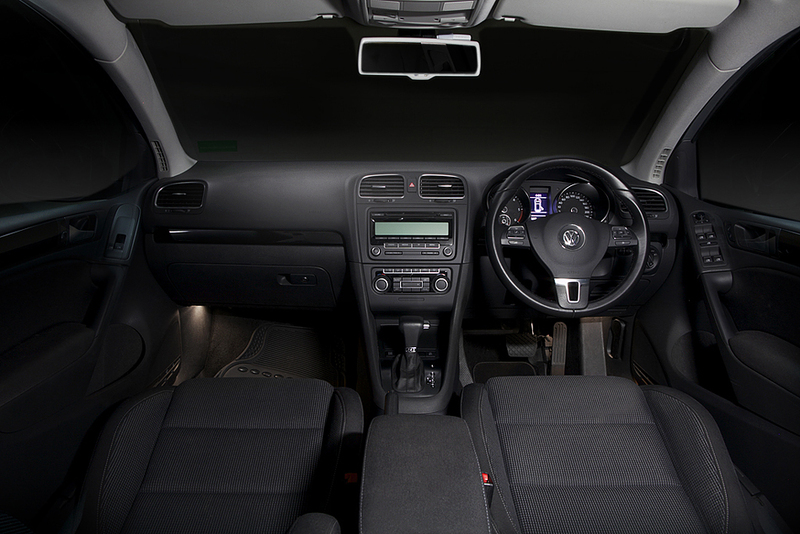 I took a few exposures and light the interior from a few different places. I noticed in all the photos the light was really visible so I put the camera on live view, and clicked the record button. Jumping back in the car I began to spread the light across the interior and then pulled away to review the video. Reviewing it gave me an idea on where to put the light and where NOT to put the light so it was a good little test. Setting the camera back up and firing a few exposures by lighting different areas of the interior the shots seemed okay. This was the final result of the interior photo which I’m reasonably impressed about, it’s still a little patchy/blotchy but it will take time, I’m still quite new to the Layer Mask tool in Photoshop too! I’ll keep you updated on how I go tonight! I feel quite excited, it almost feels I’m entering a new era of photography! 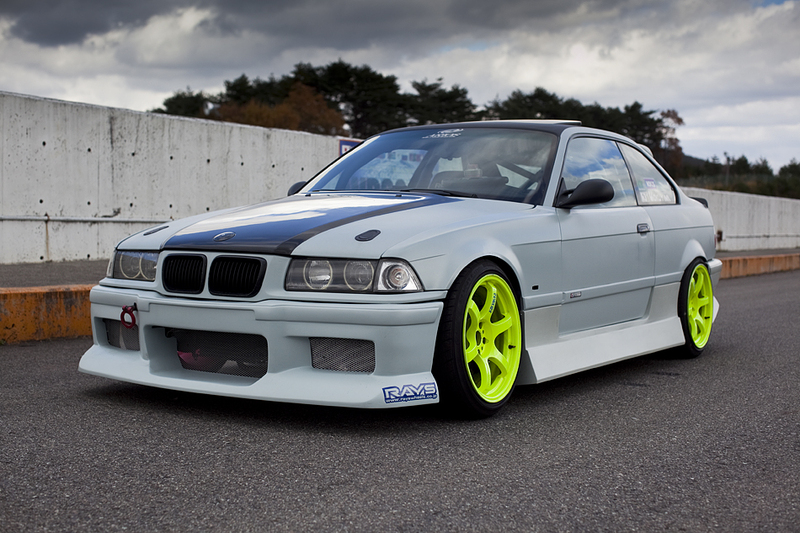 This is Hirokazu Suzuku-sans BMW fitted with Fluro-Yellow 57d’s and JZX aero, something you wouldn’t expect? Japan is full of that! I’m glad to know that Hirokazu-san is safe and sound in Fukushima! I’m sure the majority of you are familiar with the company Powervehicles. If your heading to Japan, Ebisu Matsuri in particular these are definitely going to be the people that will point you in the right direction. Here is Andy Gray, the owner of PV. 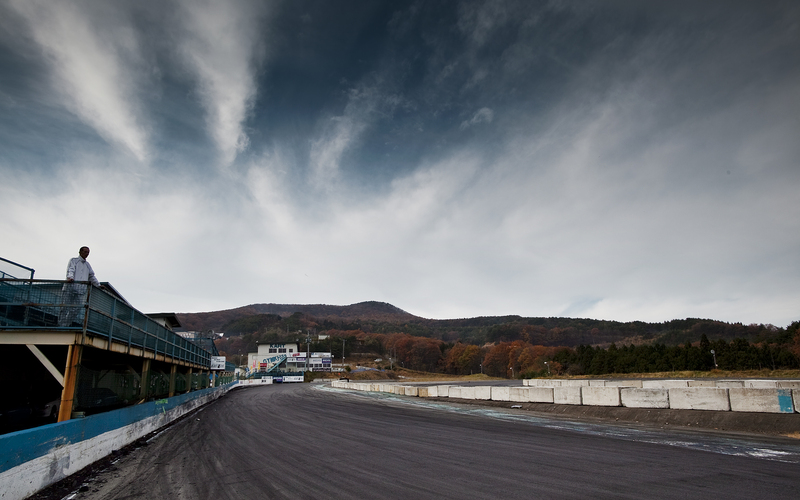 Over the past few weeks they’ve had it rough in North-East Japan as Ebisu Circuit / Nihonmatsu (their home town) is based in the Fukushima prefecture which is where the Nuclear Power-Plant is based. 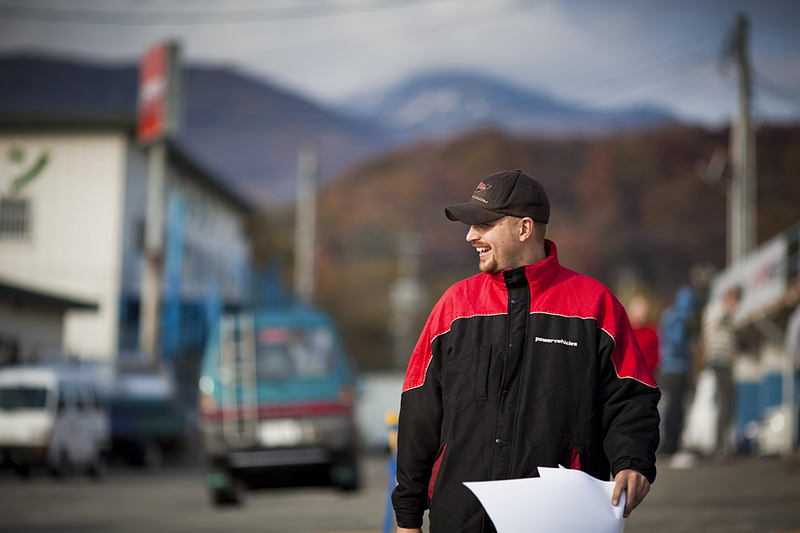 A day or two after the major quake occurred both Andy and Emily left Ebisu and headed south to the Kansai region, Osaka. Arriving back at the circuit not too long ago they’ve been keeping us up to date on how things are. As soon as I heard that Japan had suffered this major disaster I immediately said to myself “If there was one country in the world to recover from something as bad as this in a swift mannar, it would without a doubt be Japan” For an example: A main road had split directly down the centre over a 150m distance, 6 days later it’s completely recovered. 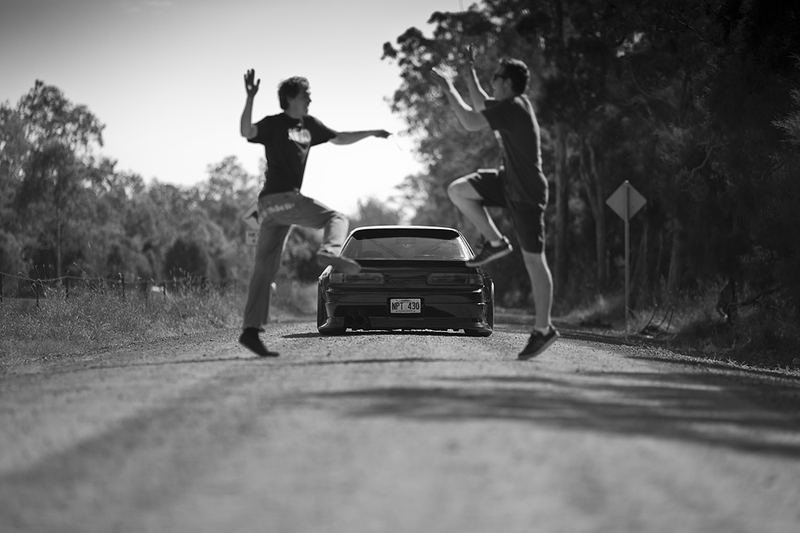 As you may know Ebisu received a bit of a bump. The main sheds in between the Zoo and the Touge course actually slid down the hill, luckily enough Powervehicles and Team Orange recovered all the cars without any major damage. Sumika Kubokawa-san posted on Facebook 3 days ago saying Ebisu was back open, however 3 courses still weren’t due to damage from the quake. After seeing some of the devastating images I still can’t get over how fast these people are recovering, it’s so relieving. It’s been confirmed I won’t be attending next months Ebisu Spring Matsuri instead I will be sticking in Osaka and visiting circuits such as Meihan, Suzuka Twin, YZ and Bihoku which will be absolutely amazing. I hope to catch up with Andy and Emily and Team Orange sometime later this year. 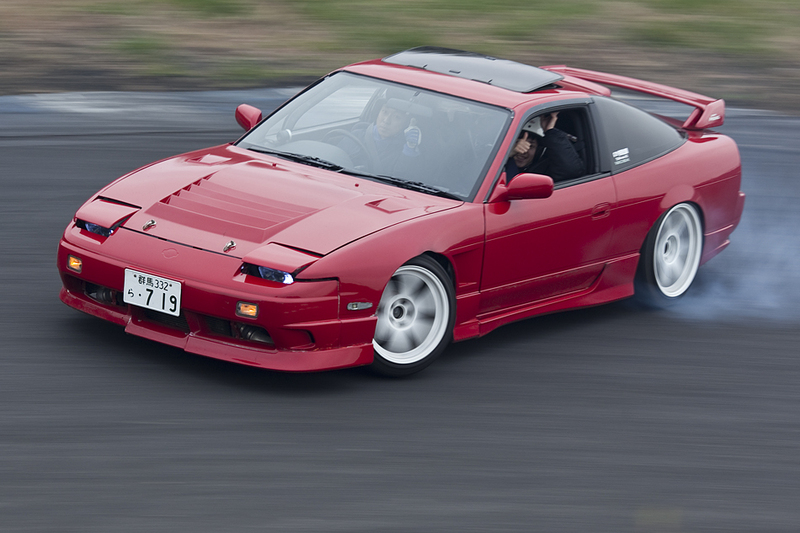 Things seem to be back in shape on Ebisu’s famous track, Minami. This was shot only a day or 2 ago. Continue to pray for Japan everyone. This is why my trip was amazing. The night before this video we spotted a S14.5 on the main road leaving Daikoku PA which ended up taking us to a street drift meetup in the heart of Yokohama Bay, docks and all. That same he, Yuki-san gave us a GPS co-ordinate for us to meet him and his crew at a place called Ebina Carpark, this is generally where cars head to if Daikoku PA gets shut down. The following night we rocked up right before 10:00PM and waited around for an hour or 2. Soon enough we were driving with a large pack of cars to a popular mountain about an hour away. Eventually reaching the top of the mountain Yuki generously agreed to taking me for a ride both up and down the touge. Here is a 3 minute sector of the run. So, it’s not the best of times being a Sunday evening, please feel free to download a widescreen version of Minami to set as your desktop background to help you get through the working week! 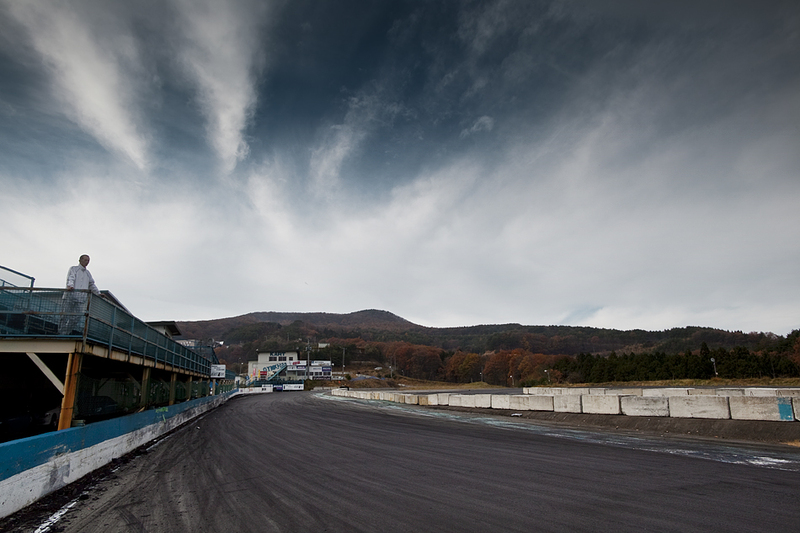 I’m also sure you’d all be pleased to know Ebisu Circuit opened yesterday, 3 tracks still remain closed. It’s great to see the people of Japan getting back on their feet, together we’ve so far raised over $600! To donate click here. Two thumbs up, it’s Friday… Smile!